The museum exhibits works from Japan and abroad, including ceramics of practical utility as well as modern industrial items. An outstanding collection of masterpieces. Mainly works by young, promising local artists. At times over a hundred artists are represented. In connection to each exhibition, a symposium is held, making the gallery a great place for exchange between creators of ceramic art. Focus on young, promising artists in Tajimi. Monthly exhibitions of the works of individuals or groups of creators. 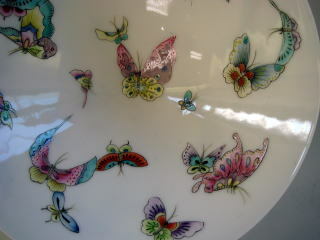 Every year in May there is an exhibition of tableware for youngsters, from toddlers to older children. In December every year there is an exhibition on the theme of the Chinese Zodiac sign for next year, which draws the participation of a large number of artists every time. 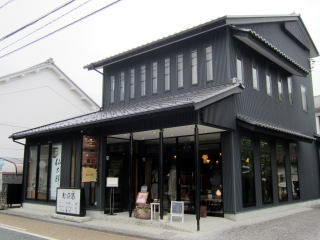 A gallery opened by the Sentaro-Gama Kiln on the first floor of the Chiyugura builiding, Mino Ware Association in Ichinokura Town. The gallery mainly highlights outstanding works in the Shino, Oribe, and ki-Seto styles. ​Admission is free to this gallery space next to the Ichinokura Sakazuki Art Museum. 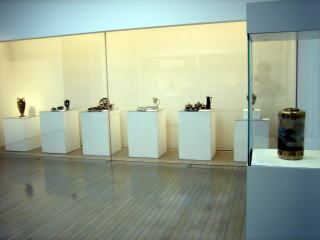 Around one hundred items are displayed in the Box Gallery, mainly works by local artists, such as bowls, cutlery, and assessories. Works of great originality are sold here. 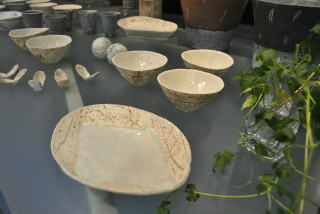 In Gallery Chuu you can view pottery, textiles, glass art and other items. This gallery is for fresh graduates of the Tajimi Ceramics Design Research Centre or other Ceramics related educational institutions. 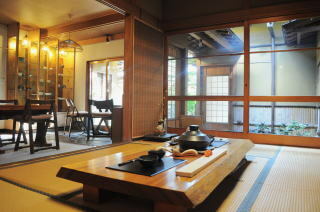 You can enjoy viewing the works in the calm atmosphere of a traditional style Japanese house. The gallery also co-operates with cafes and holds food events. 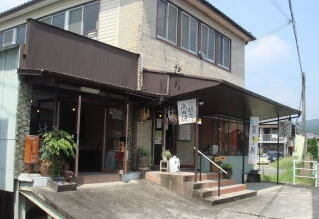 Gallery Cafe operated by an NPO in the ceramic production area of Takata/Onada, famous for its sake bottles and hot-water bottles. 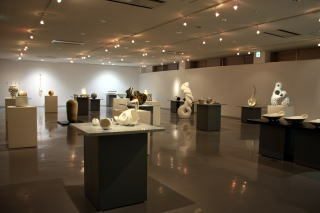 A variety of exhibitions are held here, such as ones themed on ceramic hot-water bottles, and the gallery is linked to the "Studio Aoto", who's students exhibit their works here regularly. 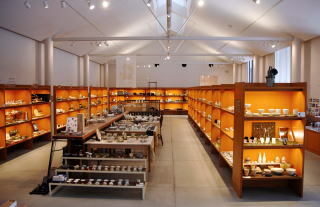 Gallery exhibiting precious items collected by the President of ceramics wholesaler Kaneyo over a period of 30 years. According to the Chinese ceramics artist Shao Fanyo, who was entrusted to produce replicas of items in the National Palace Museum of Beijing, this is an outstanding collection, focused on works that represent a fusion of exquisite tradition and leading edge techniques.